We love a delicious Cajun dish, but what makes our Cajun style favorites even more irresistible are their easy Cajun recipes. In no time, you’ll have a tableful of savory Cajun recipes and Creole recipes sure to add a punch of flavor and style to dinnertime. We have appetizers, like citrus-marinated shrimp with Louis sauce; entrees, like Cajun Chicken Pasta or a Family-Style Muffuletta; and dishes that are good for any time, like Crawfish Etoufee or Okra Creole. And don’t forget our Easy Jambalaya recipe. Take a look through our easy to prepare, quick-fix Cajun and Creole dishes and you’ll find a dish you want to try out, no doubt. In no time, you’ll gain mastery of these fantastic Cajun dishes. 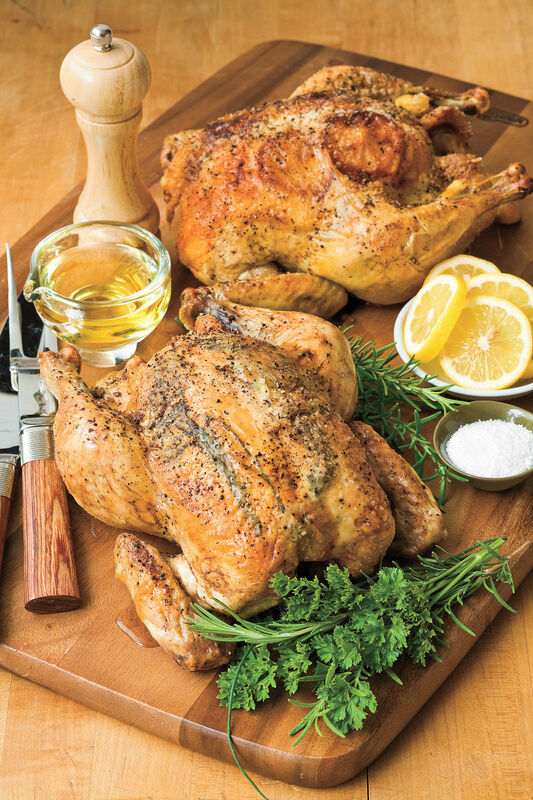 You’ll wow family and friends, and they’ll be astonished that the recipes were prepared in the blink of an eye. That’s certainly a win in our book. And when easy meal preparation meets incredibly delicious dishes, we are more excited than ever to get in the kitchen. Five fruits flavor this appetizer of Citrus-Marinated Shrimp With Louis Sauce. 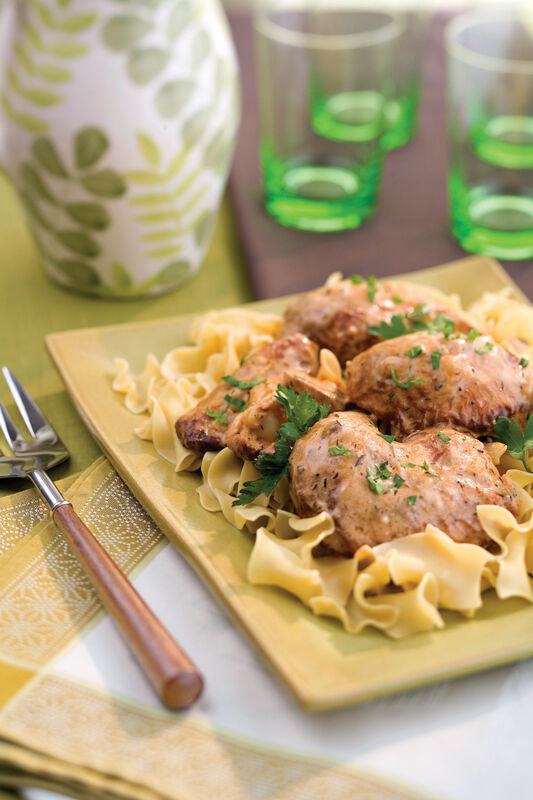 For cleanup in a snap, serve Cajun Chicken Pasta right out of the pan. Add salad and dinner rolls to complete your menu. After preparing the roux, most of the time spent making gumbo is basically hands-free. You’ll just need to stir the pot occasionally to prevent sticking. This flavorful stew recipe is worth the effort. Spicy, buttery, and decidedly hands-on, this dish is a New Orleans classic. Crusty French bread―and plenty of napkins―are traditional accompaniments to New Orleans Barbecue Shrimp. Smoked sausage and Creole seasoning deliver long-simmered flavor to this hearty Louisiana favorite. This stew is similar to gumbo, but without the roux. The recipe gets its thick glossiness from a cornstarch-and-water slurry that’s stirred in at the end. Serve flavorful Okra Creole as a side or over rice for an easy entrée. 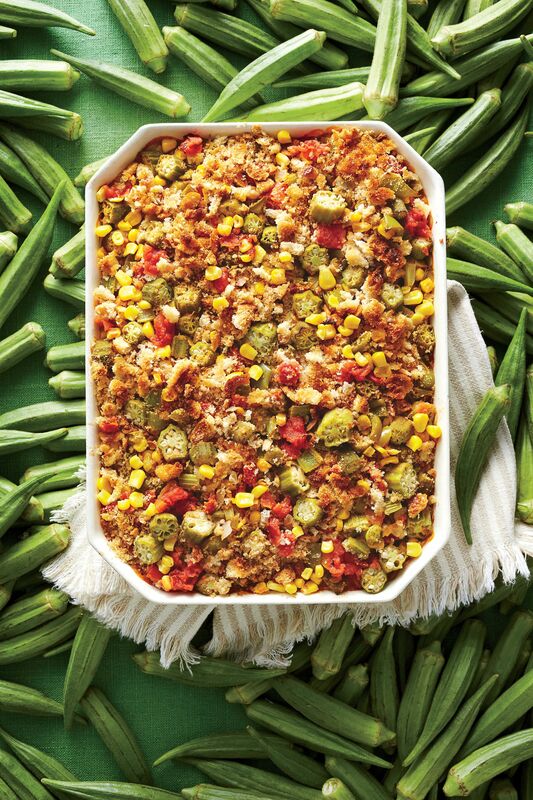 This recipe uses frozen okra as a budget and time saver. This recipes call for fresh crawfish because they’re readily available in Cajun country. Don’t fret if you can’t get your hands on the fresh seafood―frozen crawfish tails work very well. A combination of two favorites―fresh seafood and rice―tastes great in Crab-and-Shrimp Étouffée. You can serve it on fine china at formal gatherings or down-home style right from the pot on the stove. Our Muffuletta Calzones have all the tasty traits of the classic sandwich: crusty bread filled with layers of provolone, ham, salami, and the essential olive salad. For even more flavor, add 1 tsp. dried Italian seasoning and 1⁄2 tsp. dried crushed red pepper to the cheese blend. Make Chicken-Andouille Gumbo the day ahead to save time. Fresh andouille and crusty french bread are essential to this dish. If you thought the popular Lowcountry dish shrimp and grits couldn’t be improved. Try a delicious twist on this recipe using fried grits squares, asparagus spears, and a creamy shrimp sauce. Chop the ingredients ahead, and make the rice the day before to have Creole Fried Rice on the table in nothing flat. It’s also a great use for leftover rice―just be sure you have 3 cups on hand. Serve not-too-spicy Cajun-Baked Catfish with your favorite hush puppies and coleslaw. With only 8 ingredients Cajun Corn Maque Choux makes a quick and zesty accompaniment to your menu. Cajun seasonings make the flavor of this gumbo complex, but the prep work is easy enough for a weeknight dinner. The gumbo and our Okra Pilau can be ready in 48 minutes. In step one, adding flour to hot oil creates a fast and flavorful roux. A New Orleans classic gets a Lowcountry makeover in Creole Shrimp and Grits. Classic one-pot dish is loaded with Creole spices and comes together in three easy steps. Test Kitchen Professional Norman King shows you how to cook Jambalaya for supper tonight.